There are many hotels in the Helmond / Eindhoven area that you can choose from. The organization of the Open Dutch has worked with City Resort Helmond, Golden Tulip West-ende (Helmond) and Holiday Inn Eindhoven to ensure you have a great experience. We highly recommend selecting one of the following three hotels. Note the booking code, please use this for the special rate. 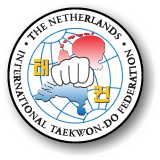 This is our main location, why, well simply because the City Resort Helmond is situated right above the sports hall. You can literally change in your room and walk over to the tournament in a minute. Although you may want to enjoy their great breakfast buffet first. City Resort Helmond offers you a luxurious location to stay the night including, Wi-Fi and climate control. At City Resort Helmond you can work out for free and you can enjoy the facilities of City Resort Helmond for an attractive rate. It is a typical Hotel: affordable luxury in a vivid surrounding. Southern hospitality in the heart of ‘de Peel.’ All rooms are equipped with climate control, free Wi-Fi, and other modern day conveniences. Sports facilities are free of charge for our hotel guests. At the same time, our guests can enjoy the attractive rates for the indoor beauty and wellness resort. Book rooms for City Resort Helmond following the directions included in the following documents. Overnight stay for only €84,- per room (based on double occupancy) excluding breakfast. If you book breakfast directly during your reservation we offer you a special rate of €12,50 per adult and€ 9,50 for children. It is possible to place an additional bed in the room for € 20,-. Housed in an elegant 19th century building, this welcoming 4-star business hotel enjoys a prime location in the heart of Helmond city centre. Eindhoven city centre and the famous Philips stadium are just 15 minutes drive from our hotel making it an ideal base for all your business trips, sporting events and leisure breaks in Helmond. Facilities The Golden Tulip West-ende Hotel offers guests a range of comfortable rooms and suites, all equipped with desk, free Wi-Fi and tea-coffee making facilities. Pets aren’t allowed. Each of the 106 rooms features a cool contemporary design and world class amenities, some of our spacious and modern bathrooms. The hotel which was recently extended, also offers visitors on long stays self-catering apartments and B&B facilities. The Golden Tulip West-ende is home to a fine dining restaurant elegantly decorated. Enjoy the homely atmosphere of this stylish restaurant with its large fireplace. We are open to hotel residents and non residents for breakfast, lunch and dinner. The Brasserie Rubenshof, serves fresh seasonal ingredients all carefully prepared for a fine gastronomic experience. The hotel also has a cosy lounge bar with deep armchairs where you can relax and enjoy pre-dinner drinks or nightcaps. 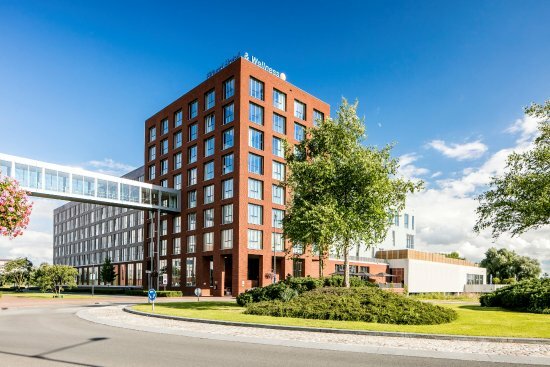 With extensive meeting facilities, a beautiful south-facing terrace perfect for relaxing in green and peaceful surroundings, and safe car parking, at a nominal fee, to complete the offer, the Golden Tulip West-ende ensures you all the facilities and services you need for a comfortable stay in Helmond. At the Golden Tulip West-ende reception is staffed 24/7. Our dedicated and friendly team of professionals is available to arrange your car and bike rental, transfers or taxis. They will be delighted to provide you with any information you need to help make your stay as carefree and relaxing as possible. Located in close proximity of Helmond are two great hotels called Best Western Wellness and Hotel Nobis in Asten and Boetiek Hotel Plein Vijf in Deurne. Right in the heart of the city Deurne, you will find Boutique hotel Plein Vijf. The hotel counts 25 rooms, including 20 deluxe rooms, 1 room for disabled, 3 theme suites and 1 honeymoon suite. Each room has its own unique style, with a contemporary design and a luxurious, 4-star decor. it is located about 10km from the tournament venue! Best Western Hotel Nobis Asten is located nearby the A67, on the border of Brabant and Limburg, and about 12km from the tournament venue. The hotel is the ideal place for relaxation, meeting each other and for staying overnights. You will experience the ‘Brabants’ hospitality throughout the whole hotel and the interior will make you feel right at home. The hotel has 120 rooms, 6 meeting rooms, a restaurant and bar, wellness and sport facilities and a cozy outdoor terrace. We have 131 spacious rooms on 6 floors. Style-wise they’re basic but comfortable, with thoughtful extras like tea and coffee-making facilities. Relaxation plays an important part at the NH Geldrop hotel and we have a great range of leisure facilities. We also have a suite of meeting rooms, and a comfortable restaurant and bar. To make a reservation please contact a.hooijmans@nh-hotels.com or by phone +31402581927 refer to: “Open Dutch 2020”. Distance to: Airport 15 km, Train station 1 km and City Centre of Geldrop 1 km, 15 km from the sports venue!